How does our body react when exposed to extreme environments like cold air and cold water? 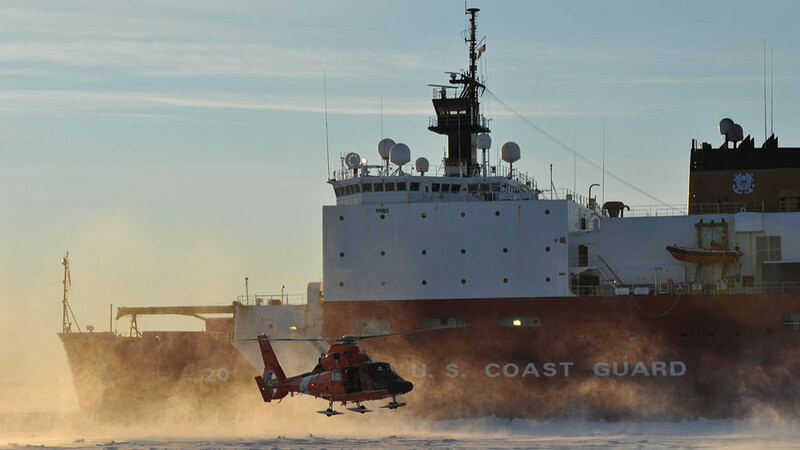 With an increasing number of people coming to the Arctic for work or leisure, questions of adequate protection against the cold, not to mention search and rescue strategies, become ever more relevant. Michael Tipton, Professor of Human and Applied Physiology at the University of Portsmouth studies the human physiological and pathophysiological responses to extreme environments, and dismisses some misconceptions many have about how a person can die from cold immersion. At the Arctic Frontiers 2014 conference in Tromsø, you explained that you study the impact of the environment on humans. What is the main impetus for your research, and who is your main target group? Our research at the University of Portsmouth looks at human exposure to cold air and cold water, and I have mostly focused on research on cold water immersion. Internationally, cold immersion is the second most common cause of accidental death. In the UK, we lose around 600 to 700 people annually due to immersion, including one child a week on average. This is why we seek to understand the physiological and pathophysiological responses to cold immersion, and to find ways of treating or preventing them. There are increasing numbers of people who now work in or visit cold environments. Workers in the oil or fishing industries spend lots of time in cold air and on cold water, and there are dangers associated with that. Our research also addresses the selection of people – for instance with regard to fitness standards for rescue workers or employees of the oil industry. Apart from that, we also look at the preparation and protection of the people going into that environment. Our work is relevant for people working in the oil industry, for the Ministry of Defense or even elite athletes. 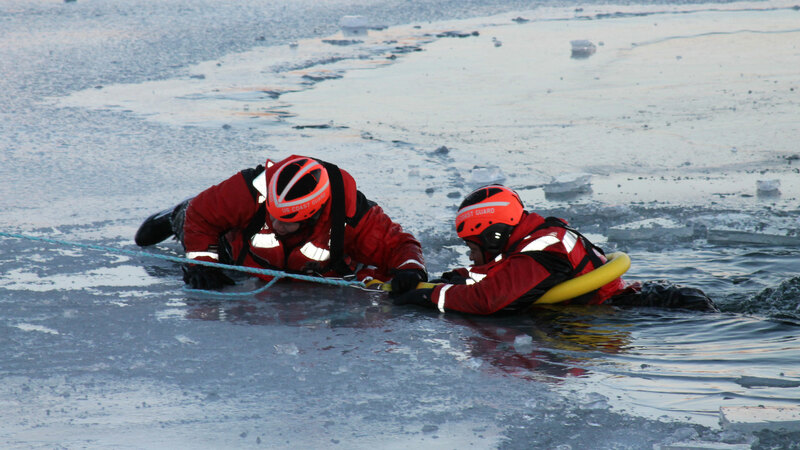 It sounds surprising that cold immersion incidents even occur in the UK in relatively high numbers. Cold water is one of the greatest stress the body can be exposed to; it takes heat away from the body very efficiently. In order to be comfortable and not too cool in water, a water temperature of around 35°C is needed. The average temperature of the waters surrounding the UK is about 10°C, which is far below this “thermoneutral” temperature. Once water temperature drops below 25°C, your major problem becomes cooling. Above 25°C, you can keep your body warm by shivering and exercising. Hypothermia is widely believed to be the main cause of death due to cold immersion. Why is this an incorrect assumption? Hypothermia means a reduction in deep body temperature, resulting in the loss of consciousness. The heart stops when the deep body temperature has fallen by around 12°C from its normal temperature of 37°C to about 25°C. In cold air, if people are reasonably well protected and are able to continue to generate metabolic heat, hypothermia is not really a problem. It only becomes a problem if a person becomes exhausted or injured. In cold water, things are different. Exercise accelerates rather than slows the rate of cooling of deep body temperature, and it is much harder to protect against hypothermia. But even in water, it takes time for an adult to become hypothermic – at least 30 minutes even in the coldest water. 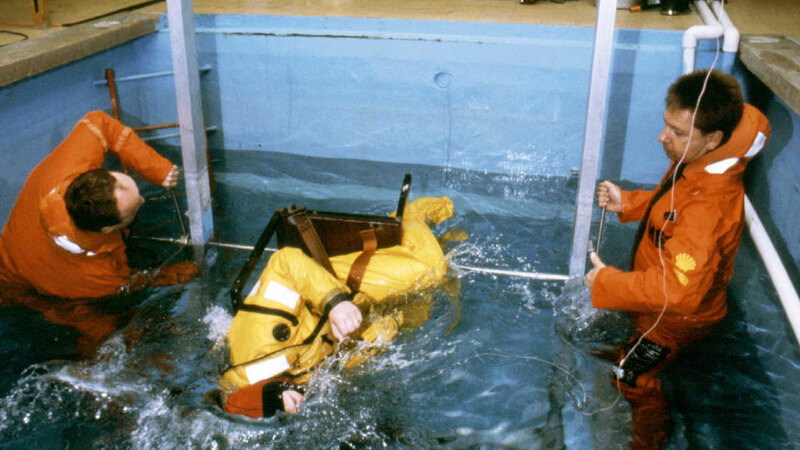 Over the years, we have managed to re-focus people’s attention away from hypothermia and towards what happens in the first minutes of immersion. Roughly two-thirds of those who die from immersion do so only two or three meters away from a safe refuge, and they are regarded to be good swimmers. This led us to believe that something very fast was happening to people, and this is where we started to do research to describe “cold shock” and its implications for drowning and heart problems, and as a major cause of death. What happens when a person is exposed to cold water? In the first 3-5 minutes of immersion, a sudden fall of skin temperature triggers the cold shock response: uncontrollable breathing and a sudden and dramatic increase in blood pressure and work demand on the heart. As the rate of falling skin temperature slows and approaches the water temperature, the cold shock response disappears. If people can get past that first couple of minutes, their survival prospects increase significantly. In the next stage, the superficial nerves and muscles are cooled – particularly in the extremities. Within 10 to 20 minutes, people who are normally quite capable and good swimmers start to struggle. Within 20 to 30 minutes, they can become physically incapacitated to the point where they can no longer assist themselves - this is almost like paralysis. 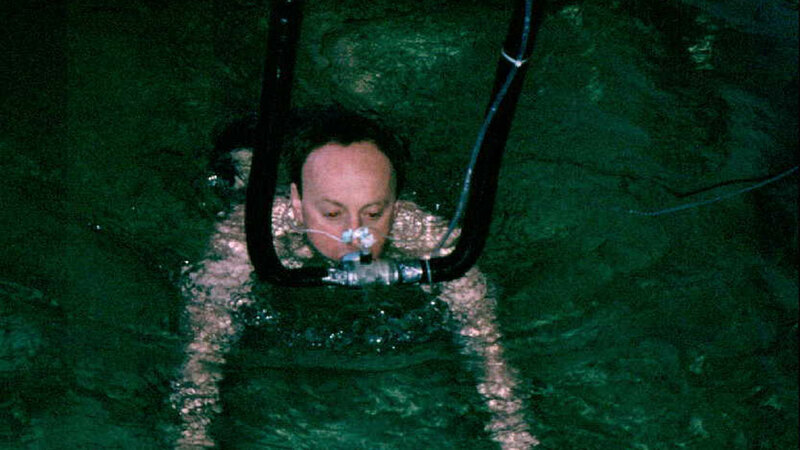 In this stage, people mostly die if they have to swim to keep their airways clear of the water, or if they have been hanging on to something. There are many reports about people who hang on to life rafts for about 20 minutes before they drift away. After at least 30 minutes, hypothermia (a body temperature below 35°C) can occur, but it normally takes even longer to set in – 1 to 2 hours in water at 5-10°C. Only around 20% of those who die in UK waters die as a result of hypothermia. No adult person becomes dangerously hypothermic in less than 30 minutes, even if they have no clothes on and the water is close to 0°C. The remaining 20% of deaths occur just before, during, or shortly after rescue (“Circum-rescue collapse”), due to a collapse of arterial pressure, continued cooling or inappropriate rewarming. It was always assumed that deaths occurring due to immersion are caused by hypothermia – but this is not the case. About 60% of those who die from immersion die in the first two stages, either from drowning or from cardiac problems triggered by the cold shock response or the superficial cooling. Why do victims often die just before or just after being rescued? We are not sure, but we think it might be because of the relief of knowing they are safe. They relax too much, which lowers their stress hormone levels and removing the stimulus these hormones give to maintaining body functions under stressful conditions. All we can do currently is to tell the rescue agencies to keep encouraging people to fight for their survival and not say things like “relax, you are safe,” as this may cause the pre-rescue collapse. The reason why people die during rescue is that they get taken out of the water and hung up vertically as they are lifted into helicopters or high-sided vessels. This causes a collapse in blood pressure, and we advise that people be removed from the water horizontally to minimize this risk. There are cases where people have survived underwater over a longer period of time. Can a complete submersion, as opposed to being immersed with the head out of the water, improve chances of survival? You are always better with the head above rather than in the water. However, there have been a small number of cases – about 43 to date – where people survived prolonged periods under water. The current record is 66 minutes of complete submersion with full recovery. Such cases confuse search and rescue workers, as they do not know how long to continue searching for submerged victims and so continue. On certain occasions, this results in the rescuers being put under great risk for longer than necessary. Our research shows that the number of survivals is relatively small. 67% of those who survived were children under the age of 12, and the ones who were not children tended to be small. We think the mechanism is the following: When these people are under the water, they breathe water in and out of their lungs, which is part of a cold shock response – uncontrollable hyperventilation. This leads to drowning. However, because the water is so cold, it cools the heart. This, in turn, cools the blood supply up to the brain and ultimately cools the brain. When the breathing and the heart stop because of drowning after about two minutes, in very cold water, the brain is cold enough to be protected from oxygen starvation. So cooling the brain can enhance survival chances under water? Yes, if you can cool the brain by about 7°C within 10 minutes, you double the amount of time a person can survive without oxygen. If you cool it down to about 20°C, the brain can survive about an hour without oxygen. We think this “selective brain cooling” that occurs in the first minutes of submersion is protective. However, the water has to be colder than 6°C for this mechanism to work. The reason the people who have survived tend to be small is because after selective brain cooling occurs via the respiratory system, the body also cools from the surface. The bodies of smaller people cool more quickly due to their higher surface area to mass ratio. Experiments focusing on cold immersion are probably very difficult to do. How do you collect the data and information you need for your research? We have an extreme environments laboratory here in Portsmouth. It has three climatic chambers that can range in temperature from -20°C to 50°C. All of our chambers are up to 8,000 metres altitude equivalent, and two of them contain immersion facilities where we can study the effects of cold water. There is, of course, a limit to what we can do at the laboratories. We can study cold shock response as well as superficial cooling and its affects on manual dexterity and physical capabilities. We can cool people down by 2°C, from a body temperature of 37 to 35°C. Actual hypothermia is defined as a deep body temperature below 35°C. We cannot study that in the laboratory, but we can study how the body tries to control body temperature when it is being cooled (“thermoregulation”). It is also extremely difficult to do research on pre-rescue collapse, as people know they are safe in the laboratory and do not produce the stress hormones as they would in a real situation. In addition to experiments in the lab and field, we also rely on talking a lot to the rescue services like the Royal National Lifeboat Institution, Surf Lifesaving GB and the Maritime and Coast Guard Agency. They provide us with a lot of information; we have a very fruitful exchange. Apart from that, we get information from case studies where people have had an accidental exposure. We publish everything we find out, attend conferences, and actively seek to increase the exchange of information with the medical and scientific communities and rescue services. We try to immerse ourselves in the communities that may benefit from the results of our work as much as possible. Our ultimate aim is to reduce as much as possible the 1.2 million deaths that occur world-wide as a result of cold immersion each year. As for exposure to cold air, could you explain what happens when frostbite occurs? Protecting the extremities in a cold environment is very difficult. When the body starts to cool, its first defensive reaction is to shut down blood flow to the extremities. Particularly hands and feet suffer most from this, as they are the furthest away from the body's warm core. As they mostly lack muscles and do not generate heat themselves, they depend on blood flow to maintain their temperature. Our body is designed to protect the most important deep tissues like the heart, brain, and deep-seated organs. It will sacrifice the extremities to maintain the temperature of the central organs. In a cold environment, the blood is withdrawn towards the center of the body beneath the insulating body fat just under the skin in order to protect the deep tissues. In so doing, the extremities like hands and feet are left to cool. Human tissue freezes at around -0.53°C. If that occurs very quickly, ice crystals form inside the cells, and because ice expands when it freezes, the water in the cells expands, bursts the cells and kills them. If the extremities cool more slowly, fluid around the cells freezes, and then the water gets sucked out of the cells through osmosis, again resulting in the death of the cells. If the cells in the extremities are destroyed, blood flow is blocked in those parts of the body. When they are warmed up again, the blood clots, so the blood cannot perfuse to the damaged extremities. The destroyed tissues then “auto-amputate” (wither and drop off), or they may need to be removed surgically if there is a risk of infection. Does that mean most frostbite requires amputation? It depends on the depth of cooling. In a superficial frostbite, only the skin is affected. The affected part might become blistered and black and look quite bad, but if only the upper skin layer is injured, it dies and flakes off, and healthy skin from underneath grows in. If the freezing goes deeper, however, it goes through the skin and affects the bones and the ligaments. This destroys the regenerative layer, and this results in tissue loss. You argue that frostbite is not necessarily the main problem for people working in cold environments, and you distinguish freezing injuries from non-freezing injuries. Could you explain the difference between the two? People are very aware of the risk of frostbite, and there are good countermeasures and treatment protocols for it. Despite some accidental incidents, frostbite is generally not a problem for people experienced in working in a cold environment. However we expect that as more and more people go to work in cold environments, the occurrence of cold injury will increase. Non-freezing cold injury (NFCI) is much more subtle. It is related to the “dose” of cold rather than any specific temperature. Non-freezing cold injury can be observed with people who have exposed their extremities in environments as warm as 12°C, so it does not necessarily occur in a freezing environment. Cold, wet environments increase the likelihood of this condition. People can suffer from it within an hour in very cold environments or over one or two days in slightly warmer, wetter environments. People suffering from non-freezing cold injury become cold sensitive. When they become cold, the blood flow to their skin shuts down very quickly and for a long period of time. The injured part produces sweat, because the vasculature and the nerves are damaged. These two responses increase cooling on exposure to cold. People with a moderate non-freezing cold injury are prone to get a more severe cold injury because of this double-effect. Another problematic aspect of NFCI is intractable pain. Sufferers feel pain in the affected areas, and the pain is not treatable by normal painkillers. To sum up, what are the key findings of your research, what are their implications for search and rescue operations, and what are the main gaps that need to be addressed? In terms of cold immersion, the most important finding is the identification of the four stages of immersion associated with particular risk. Up to then, the protection of the people and the search and rescue policies that we deployed were based on the assumption that people die from hypothermia over many hours. My colleague at the University of Portsmouth, Frank Golden, was the first to talk about the four stages of immersion associated with particular risk, and we started to concentrate on understanding the first stage and its implications. In 1989, I wrote a paper on cold shock response. At that time, people flying in helicopters were provided with clothing that that protected them from hypothermia, but gave them little protection against the cold shock response. There were lots of people dying because their helicopter had gone into the water and they were unable to hold their breath long enough to get out of it. Our research on the cold shock response led to the policy of introducing emergency breathing systems for people flying offshore. In cold air, the major finding is the identification of non-freezing cold injury. This area, however, needs much more research. We do not really know the pathophysiology of non-freezing cold injury. We do not have definitive tests on whether people have it or how severe it is. We do not know the best way to treat it, either. At the same time, this will become an increasing problem as more and more people go into cold environments. This area needs a research focus in the coming years to ensure health, safety, employability, and to avoid unnecessary compensation claims. Michael Tipton is Professor of Human and Applied Physiology at the Department of Sport and Exercise Science at the University of Portsmouth. Professor Tipton has been a consultant in survival and thermal medicine to the Royal Air Force and UKSport; he sits on the Royal National Lifeboat Institution’s Medical & Survival Committee, and the Ectodermal Dysplasia Society’s medical advisory board. He chairs the Energy Institute’s Health Technical Committee and sits on the English Institute of Sports’ Technical Advisory Group. In addition, he is Patron of the Technical Underwater Search and Rescue UK (TUSARUK) (formerly SARbot) charity, a Trustee of Surf Lifesaving GB, and a Fellow of the Royal Society of Medicine. Professor Tipton and colleagues conducting an experiment on cold immersion in Portsmouth, England. Professor Tipton takes part in one of his own experiments to see how the body reacts as it is exposed to cold water. Here, he takes a 90 minute swim in water at 10°C.